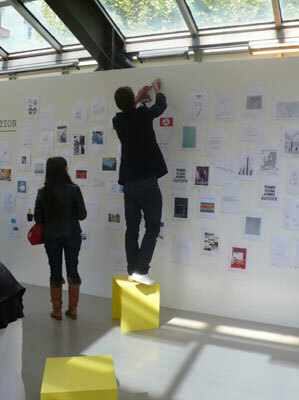 Including artist positions by Jumana Emil Abboud, Juan Pérez Agirregoikoa, Jennifer Allora & Guillermo Calzadilla, Charles Avery, Thomas Bayrle, Erick Beltran, Gerard Byrne, James Coleman, Minerva Cuevas, Trisha Donnelly, Dot Dot Dot Magazine, Cao Fei, Urs Fischer, Jean Pascal Flavien, Sheela Gowda, Shilpa Gupta, Wade Guyton, David Hamilton, Christian Holstad, Norma Jeane, Adrià Julià, Brian Jungen, Ömer Ali Kazma, Annette Kelm, Nathaniel Mellors, Ohad Meromi, Museum of American Art, Hilary Lloyd, Cinthia Marcelle, Darius Miksys, M/M (Paris), Tomas Saraceno, Josh Smith, Armando Andrade Tudela, Nomeda et Gediminas Urbonas, Annie Vigier & Franck Apertet, Kelley Walker, James Webb, Liu Wei, Jia Zhang-ke, et al. 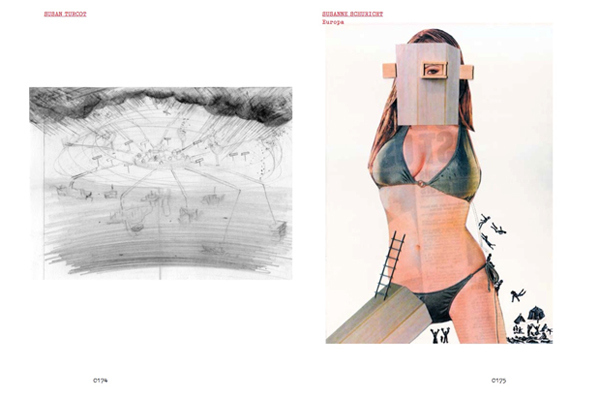 Catalogue with contributions by Shumon Basar, Ute Meta Bauer, Celine Condorelli, Erhard Eppler, Nikolaus Hirsch, Rem Koolhaas, Stéphanie Moisdon, Ingo Niermann, Hans Ulrich Obrist, Ralf Pflugfelder, Karl Schlögel, Eyal Weizman, Tirdad Zolghadr, et al. 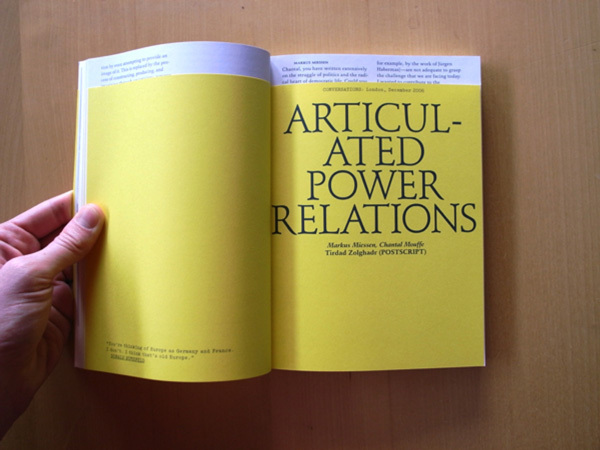 Europe, as a political space, is as conflictual as its constitution. It needs to be designed and negotiated. It is longing for an architecture of strategic encounters. 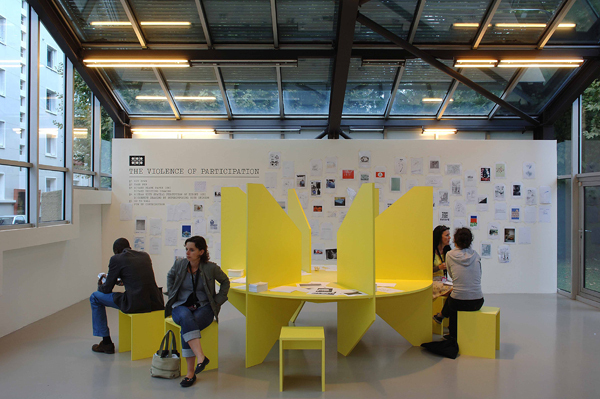 Based on the curation of a space at the 2007 Lyon Biennial, a group of people were brought together to lead conversations around alternative notions of participation, the clash of democratic heterogeneities, and what it means to live in Europe today. 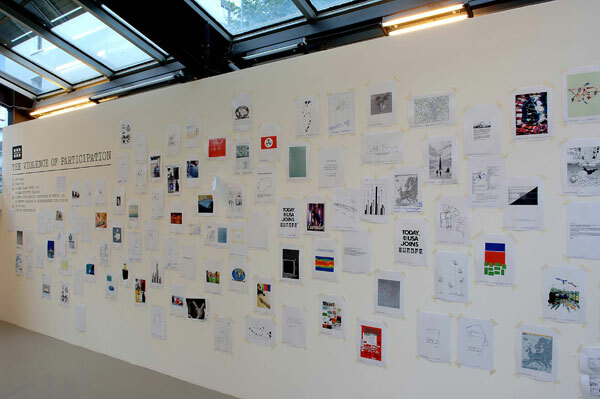 The space, which presents a compartmentalized roundtable, asks the Biennial’s audience to pick up one of 100 pre-produced drawings (that resemble 100 individuals’ spatial perceptions of Europe) and hack or corrupt them with their own. 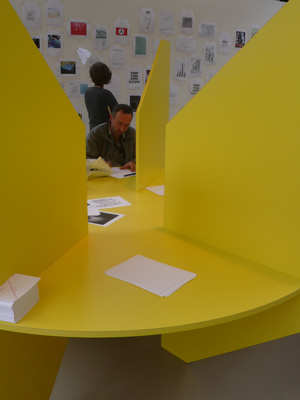 It emulates the spatial setting of a polling station, a roundtable that illustrates physically the conflict of different subjectivities dealing with individual causes. 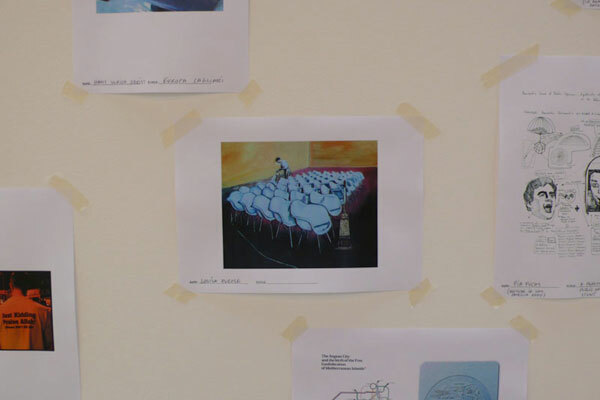 It enquires the participants’ role in what a European shared space could potentially be, exploring romantic notions of home, temporality, memorized spatial experience, and the real, imagined, or fictional spaces we inhabit. Is Europe a place or a space? 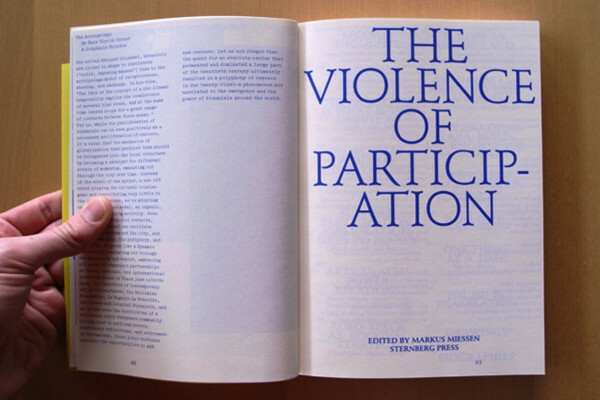 The publication includes a reader section – which presents a set of 10 conversations between politicians, cultural producers, practitioners, and theorists – and a chapter exclusively dedicated to the drawings produced by the invited participants as well as their hacked counterparts produced during the Biennial.